They say that a work of art is never finished, only abandoned. That said, think of your garden as an art piece that will always need at least a bit of your attention. To do it properly, you need to take into account all aspects of your garden, the choice of plants to intend to plant, seasons and weather forecasts, and the richness of soil in terms of water, minerals and other nutrients. With time, you will design your garden and you will continue to work on it. 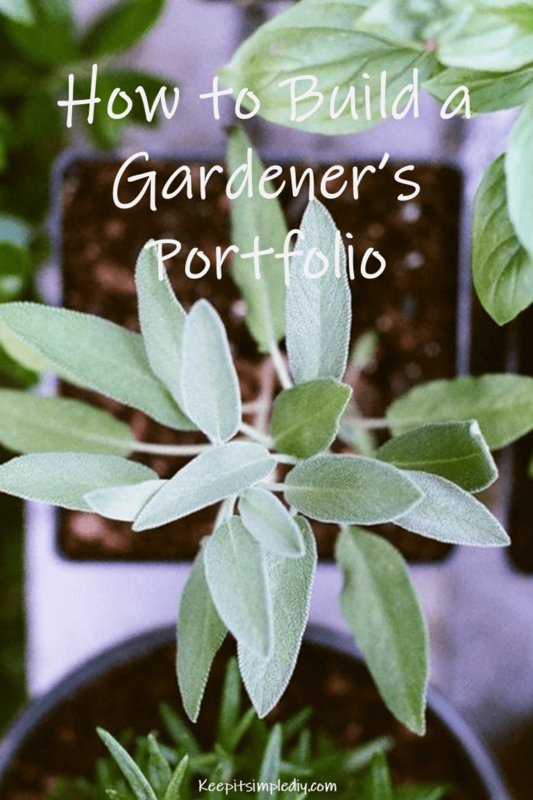 A gardener’s portfolio will help you keep track of all the important information regarding your garden. 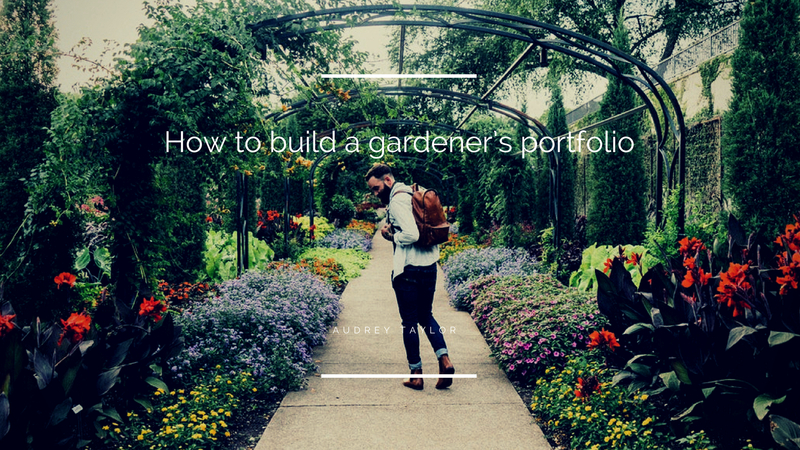 Here are a few essential tips on how to build your garden’s portfolio. Though you may choose a plant for its beauty or favorable smell, still you will do more favor to yourself and your environment by going local. Instead of planting and maintaining an immaculate lawn, you can choose indigenous species. As native plants will be more accustomed to the climate, soil and even the pollinators, so the plants will need less extra care on your part. Local plants are more likely to look natural in your garden and remember that you are helping your environment along the way. As they will grow in their natural habitat, their need for water will be lower. Their problems will insects and pests will resolve naturally in most case, which also means less pesticide. After choosing the plants you intend to grow, it is time to plan when to do what. Gardening, in general, depends on the current weather as well as the seasons. With gardening, nothing is set in stone, so even if the date says it is time to plant, you should give it time if it is still too cold. Also, you will need to follow regular forecasts, especially for frost, hail and similar occurrences. One stormy night can mean significant damage to your garden, while preventing it usually requires little effort, such as a plastic sheet over the seedlings. As your garden will use and reuse the same soil, its source of nutrients will be lower with each season. To produce better results, manure and compost will bring the life back into your garden’s soil. Manure is great, especially for bigger plant life, but it can be hard to handle, as it can contaminate the plants if it isn’t applied at the right time or in the right amount. Compost is perhaps a better option for a smaller garden as it can’t contaminate the water underground or the plants themselves. You can actually create your own compost, right in your own backyard and with your own waste. It requires little maintenance but the effort will be priceless. Knowing exactly what you put in your yard will make you enjoy your garden more and allow you to experiment. By choosing local plants, watering should not pose too much of a problem, but regular watering will still be required on most accounts. Depending on the soil type, you should treat watering differently. Over-watering or under-watering can be an additional challenge, but there is a handy device that can help you out. Using an oscillating sprinkler can make watering less difficult. Also, the time of the day is important for watering. The optimal time periods are early in the morning or in late in the afternoon. This approach prevents possible fungi infection and best water absorption. Once you put in the seeds, soil the ground, and water it, you might actually forget what was planted, where what was in the compost you used last season, or how much water you used. Each garden is unique and the uniqueness of your garden should be supervised for best results. Whether you are a pen and paper type sort of person or you are a social media fan, find a way to document your findings. In time, you might even consider sharing them with other garden fans. Start a gardening notebook, with notes and even drawings of what you used and how it turned out. As most of us use our phones all the time, you can snap pictures, carry the information in it, and update the info as you go. You might even consider a bit more public approach by organizing a blog perhaps. Working the garden, watching it grow and prosper is a truly amazing experience. Though it requires a bit of finesse, and plenty of hard work, gardening can be learned. As you try out new approaches, document your changes so as to see what your garden really needs. To lessen the burden on yourself, but also on your environment, choose the plants indigenous for your area. It will need less attention from you and it will need fewer resources to stay at its best. Compost or manure will make your soil rich enough. Water your plants correctly will allow your plants to grow to their full potential. Remember to follow the seasons and all changes in temperatures and weather, and respond to them accordingly.